INSTANTLY INCREASES BUST SIZE: Get a cup sizes bigger instantly! Perfect for any outfit, workout clothes, fitted shirts. Tthey are waterproof so you can use them in your bikinis and swimwear. FORMS TO YOUR BREASTS AND STAYS IN PLACE: You won't need to worry about adjusting our enhancers. 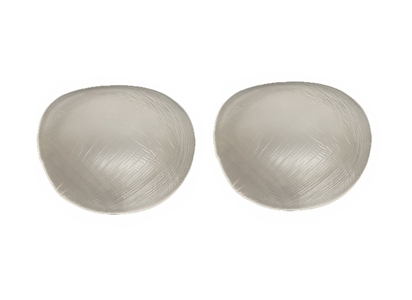 Our silicone enhancers form comfortably to your breast shape and stay in place all day long. COMFORTABLE AND NATURAL LOOKING: Naturally forms to your breasts. 100% soft silicone creates a soft natural feel and shape that will look exactly like natural breasts under your bra, bikini or workout sports bra. No one will know your secret.